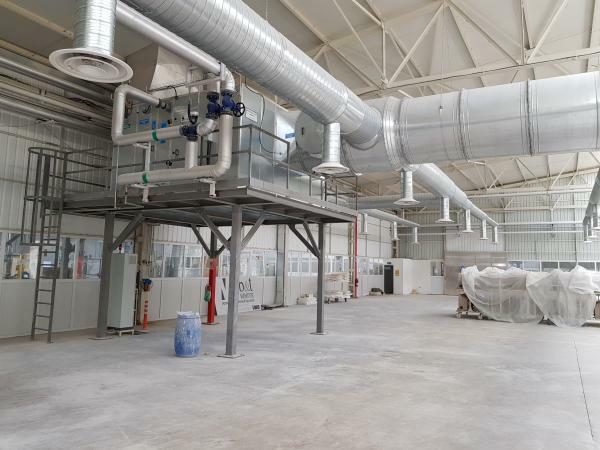 In one only casting process two fundamental aspects must be simultaneously considered: the evaporation of pieces and moulds and the comfort of the operators. The mix of temperature, relative humidity and speed of the air allows to adjust the system up to get the right settlement between the two opposite aspects. 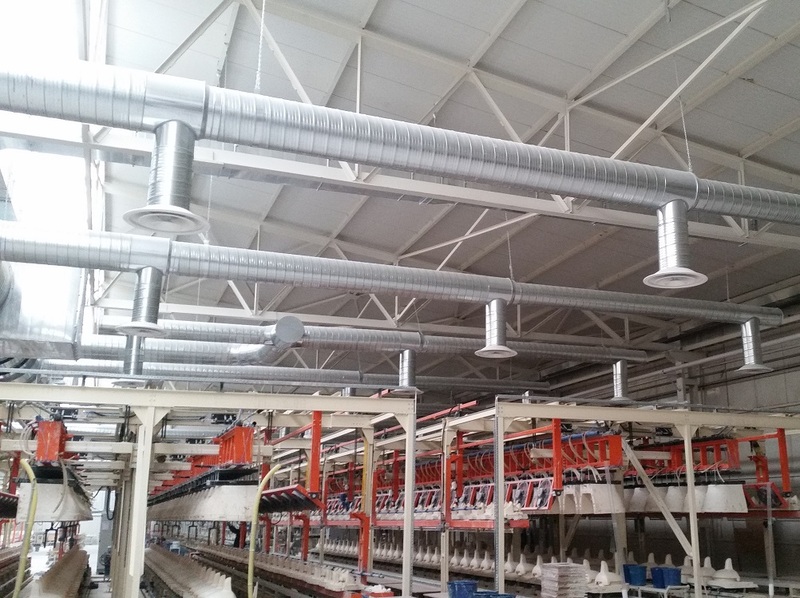 Furthermore it is also possible to make easy the external evaporation or the internal capillary circulation through the thermo-dynamicity of this micro climate and through the regulation night and day. The system, thanks to particular regulations, is suitable to run in very hard climatic conditions, from -40°C to +47°C being equipped, depending on the case, of special features like: pre-heaters of the external air, anti-freeze elements, free cooling, sand trap in case of sand storming, high pressure atomized water injection systems (fog pump). Another solution has been also studied for increasing the efficiency of the moulds during the night cycle consisting of a by-pass that allows the hot air to be fed through suitable piping under the benches instead of being fed through diffusers. Type of diffuser useful for very high fittings = > 4.oo m. with adjustable cone and regulation gate. Type of diffuser suitable for fittings up to 3,5 m. with adjustable cone and regulation gate. Type of diffuser suitable for low fittings: up to 1 m. over the pieces. It avoids kinetic current and is adjustable.